Richard W. Sankey Hall will accommodate the significant growth of the Martha and Spencer Love School of Business, which has seen its number of majors increase 80 percent in the past decade. About 1,700 Elon students, or about 30 percent of the university’s total enrollment, study in one of the school’s undergraduate majors or graduate programs. 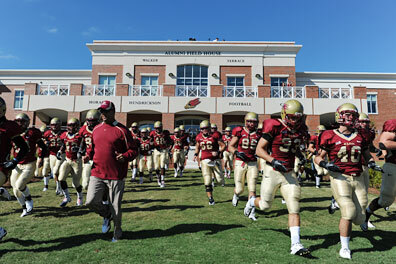 The building will be named in honor of the late father of Elon parent Jim Sankey and his wife, Beth, of Charlotte, N.C. In addition to technology-infused classrooms and collaborative work spaces, Sankey Hall will house two new academic centers focusing on financial education and design thinking, inspiring students from across Elon’s campus to come together to create solutions to complex challenges. The Doherty Center for Entrepreneurial Leadership and Chandler Family Professional Sales Center will move from Ernest A. Koury Sr. Business Center to Sankey Hall, enabling Elon to serve additional students across all academic majors. New facilities for Elon's School of Communications were completed in spring 2017, more than doubling the size of the previous facilities in McEwen Building. 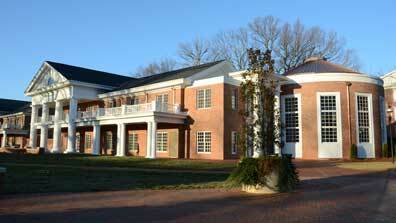 The communications complex provides an attractive entryway to Elon along Williamson Avenue and a beautiful setting framing the historic area of campus known as Under the Oaks. Central to the design of the modern communications campus is the concept of transparency and the strategic use of glass, allowing visitors to see student media in action. The project more than doubles the amount of space for the School of Communications, recognized as one of the top-20 such programs in the nation. The project was designed by the renowned Robert A.M. Stern Architects of New York. Dwight C. Schar Hall, a 45,000-square-foot building that is the centerpiece of the new communications campus. 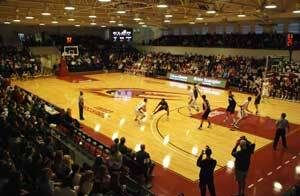 It was made possible by a portion of a $13 million gift from Dwight and Martha Schar, parents of Stuart ’16 and Spencer ’19 Schar. The facility includes classrooms, faculty offices, student engagement suites, the Innovation Lab, the Kanarick Media Sandbox and expanded space for Live Oak Communications. Snow Family Grand Atrium, named for David and Lynette Snow, parents of Lauren Snow ’15. The 5,000-square-foot, two-story glass structure links Schar Hall with McEwen building and features ample seating and a 1.4-million-pixel video wall. 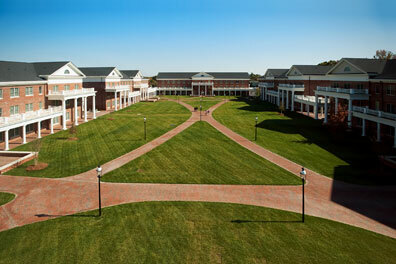 Citrone Plaza, a beautiful gathering place connecting the new facilities to the Town of Elon. 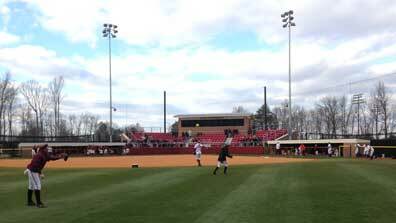 The plaza is named for Elon Trustee Cindy Citrone and her husband, Rob, parents of Gabriela Citrone ’17. Steers Pavilion, a single-story, 7,300-square-foot facility that is named for Bob and Lauren Steers, parents of John “JP” Steers ’15. The pavilion houses the internationally recognized Imagining the Internet Center, a media analytics lab and faculty and staff offices. Turner Theatre, a 220-seat, state-of-the-art movie theater located on the first floor of Schar Hall. The theater is named for Parker ’06 and Garrett ’08 Turner and their parents, Toni and Jim Turner. The theater showcases films by students and alumni. Jane and Brian Williams Studio in McEwen building, featuring new LED lighting, new sets and three high-definition cameras. Jane and Brian are parents of Doug Williams ’13, who earned his degree in journalism. A longtime television journalist, Brian Williams serves as honorary chair of Elon’s School of Communications Advisory Board. 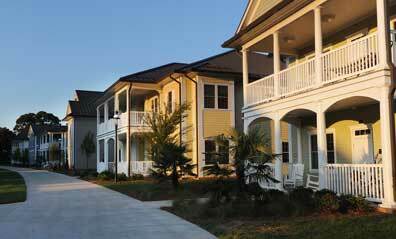 The six-building Global Neighborhood houses 600 students. The first two buildings opened in fall 2013 with the remaining buildings opening for the 2014-15 academic year. This innovative residential area includes the 30,000-square-foot Global Commons building on the shore of Lake Mary Nell, housing the Isabella Cannon Global Education Center, classrooms, faculty offices and ample study rooms and large gathering spaces. The Global Neighborhood includes faculty-in-residence and several learning communities. 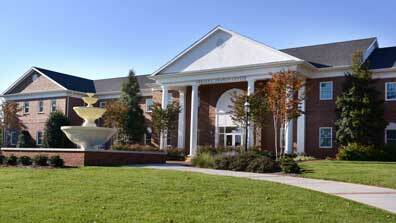 Inman Admissions Welcome Center opened in 2015, consolidating Elon's offices of Admissions and Financial Planning into a single location. 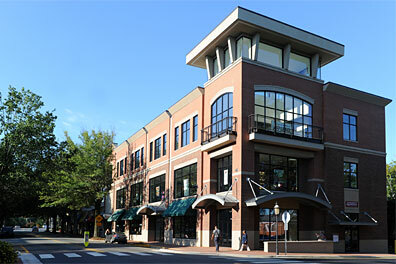 The two-story building serves as the starting point for campus tours, with a spacious lobby, a presentation theater, small group and conference rooms, and staff offices. 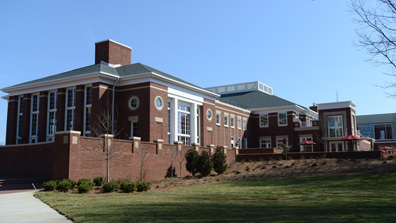 The building is located adjacent to the Moseley Center and anchors the north end of a new campus quad directly north of Belk Library.